As GOP Debates Climate Change, Corporate Lobbyists Wish For Action Many large businesses accept climate change. That creates another challenge: a split with many Republican allies in Congress who are still fighting the debate over climate science. Sen. Ted Cruz, R-Texas, leads the Subcommittee on Space, Science and Competitiveness during a hearing on climate change on Tuesday. Even as negotiators struggled this week at the Paris summit on climate change, Senate Republicans held a subcommittee hearing on Capitol Hill to challenge the underlying science. They called it "Data or Dogma?" 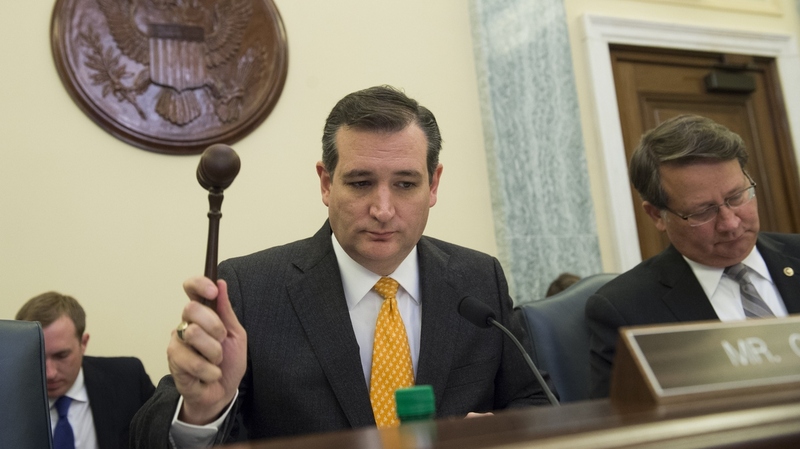 "The computer models are profoundly wrong," said Sen. Ted Cruz, R-Texas, who's running for president. "Not a little bit wrong, but profoundly inconsistent with the data and the evidence." While congressional Republicans remain staunchly opposed to action on climate change, corporate America pretty much agrees that the change is happening, is caused at least partly by human activity, and needs to be remedied. The rift has put corporations and their lobbyists in an awkward situation as President Obama's administration rolls out new climate regulations. "The Supreme Court has established that he's required to address carbon pollution under the Clean Air Act, so he is acting under that authority," said Tim Profeta, director of Duke University's Nicholas Institute for Environmental Policy Solutions. "Most large diversified companies are looking, over at least the longer term, to get some policy on the ground so they have certainty as to what their development paths should be," he said. That's where the lobbyists come in. They're all about pragmatism. "These international meetings, the minute wheels go up, people forget what they agreed to," said Frank Maisano, a Washington energy industry lobbyist who didn't go to Paris. He said that for his clients, Paris "doesn't have that much impact on what they're doing, because they've already been handed a significant challenge in the president's EPA rules." 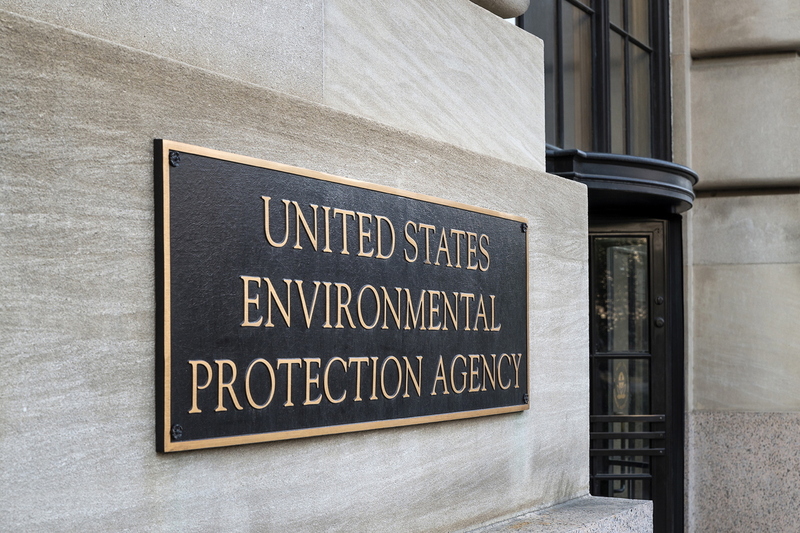 The U.S. Environmental Protection Agency in Washington, D.C.
Those rules are the Clean Power Plan, the Environmental Protection Agency's strategy to start reducing carbon dioxide levels. In the first wave of the plan, electric utilities will likely step up their trend away from using coal-fired plants. Gretchen Goldman, the lead analyst at the Center for Science and Democracy, said the energy industry is looking at big changes — first for coal companies, later on for natural gas and oil. "Investors see that is a big financial risk — if we all of a sudden are in a carbon-constrained world and a tremendous amount of the company assets are in carbon, then that's a problem," Goldman said. Even climate-change skeptics say change is coming, although they disagree on the reasons. At the conservative Heartland Institute — which sent a delegation to Paris to challenge the science — senior fellow James Taylor acknowledges that American business is on board for climate action. Or, as he calls it, crony capitalism. "Much of corporate America stands to benefit from the government injecting itself into the marketplace, and then carving up all sorts of new handouts, market restrictions et cetera," he said. And there's not even unity among think tanks on the right. Jerry Taylor, president of the libertarian Niskanen Center, said in an interview, "Political philosophy and ideology has absolutely nothing to say with how one reads atmospheric physics." The Niskanen Center's Taylor pointed back to 2009 and 2010, when Congress seriously debated a cap-and-trade bill that would have put a rising price on carbon. The measure had support in corporate America and both parties, but not enough votes to pass. "In retrospect, it was a lost opportunity," he said. "And I think a lot of Republicans, if you gave them sodium pentothal [truth serum], would probably tell you the same thing." After the bill went down, the 2010 elections sent Tea Party Republicans to Capitol Hill. Their anti-regulatory views took climate change off the GOP legislative agenda. For corporate lobbyists, Taylor said, "You're certainly not going to tell your bosses that we should make a kamikaze run on climate when you've got a lot of other more important things to do with your government affairs agenda, and very little evidence the Republicans are going to listen to you right off the bat anyway."